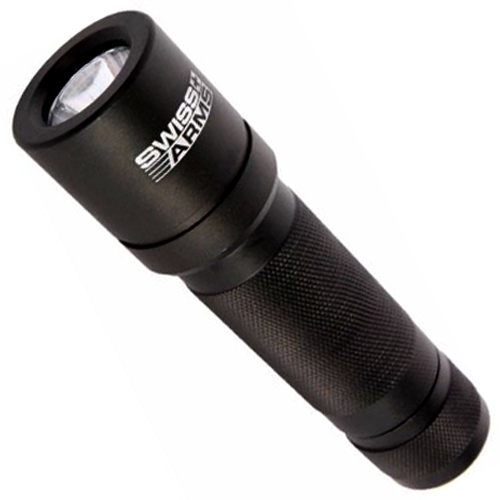 Brighten up your airsoft game with the powerful beam of this Swiss Arms Aluminum Rifle Flashlight. 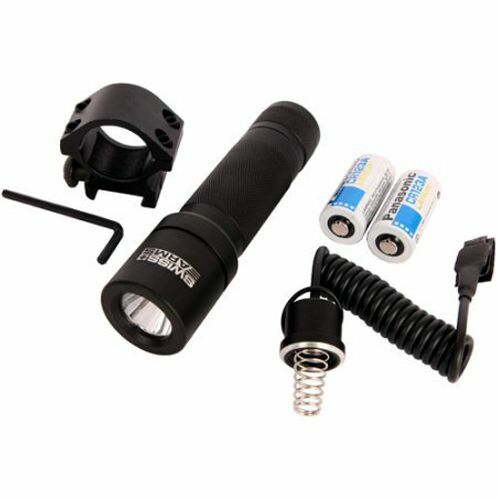 Two included lithium batteries power the 3W light of this tactical add-on. A pressure activated switch lets you easily rest it on your grip for quick access during battle.